Back in first class: the entry of business seats at Stayen, the arrival of Danish Dynamite Anders Nielsen and stewards at Stayen. 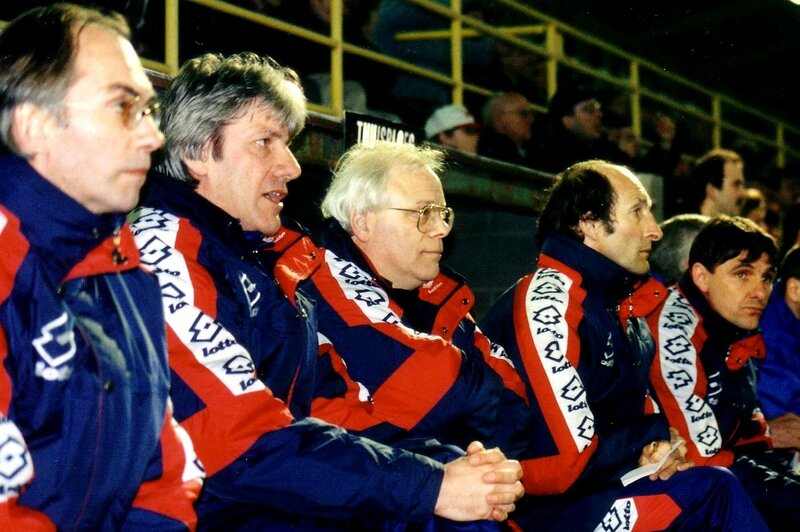 '94 -'95 was a great season for STVV. Peter Van Houdt broke through, and after a long time another Canary was allowed to wear the Red Devil shirt (Gunther Verjans against the U.S.A.). The result was also nice: a seventh place. And of course the Canaries also picked out some stunts. No fewer than 28 buses left Anderlecht on Stayen. STVV defeated purple-white on its own territory. Van Houdt scored the winning goal, 0-1. At the end of the season our fifth Red Devil (Verjans) left Stayen for Club Brugge. The Canaries made a bad start in the season '95 -'96. N'Wanu, Abeels and the young Dane Petersen were brought in as extra reinforcement. 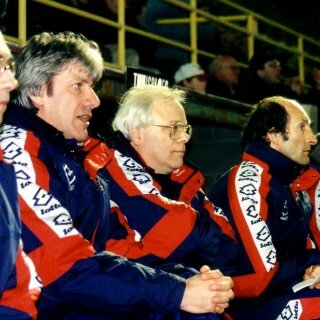 After a 0-5 blow to the big Anderlecht, ex-libero Wilfried Sleurs succeeded Guy Mangelschots as trainer.